The grant application deadline for the 2011 Tama County Community Foundation’s granting cycle is March 15, 2011. Grants may be awarded in the following areas: arts & culture, community affairs & development, education, environmental education & protection, health, historical preservation, human services and youth programs. $90,094.48 is available to be distributed to Tama County’s nonprofits and government entities to serve the greater good in Tama County. A few small modifications have been made to the application form which has remained relatively unchanged for the past five years. 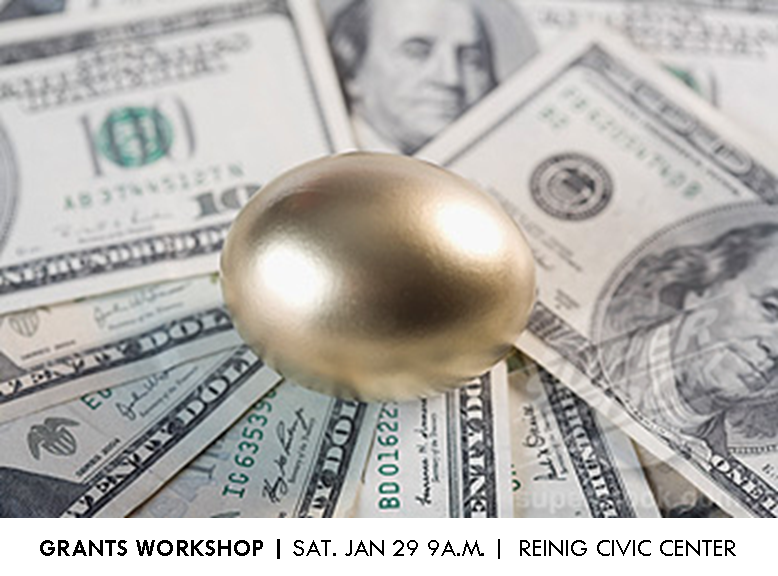 On Saturday, January 29 at 9 a.m. Tama County Community Foundation will also host a grant writing workshop at the Reinig Toledo Center, 1007 Prospect Drive, Toledo, Iowa. The workshop will cover the changes, sample successful grants, offer an opportunity to hear first hand from a local expert review panel how to avoid disqualification pitfalls, as well as supply tips for making your application as strong as possible. A packet of info with additional granting agencies and their deadlines that serve the Tama County area will also be available. An instant grant of $250 will be raffled off for attending nonprofits or government offices. Completed applications must be postmarked by March 15, 2011 to be considered for funding. The application materials are available at the City Hall and each bank location in each community of the county, at Tama County Economic Development Office in the Reinig Toledo Center, and online at www.tamaccf.org under the “Grants” section. Grants are awarded in July 2011. Eligible applicants must be a 501(c)(3) non-profit organization, a governmental body (school, city, county), or a charitable project with a qualified fiscal sponsor. For more specific questions on eligibility, please contact our administrative office at 319-287-9106. The Tama County Community Foundation, an affiliate of the Community Foundation of Northeast Iowa, has been created by and for the people of Tama County. The Community Foundation’s main goals are to support charitable projects and programs in the county and to attract additional endowed funds to assist donors in creating lasting legacies through a variety of giving options within Tama County. In Financial Year 2010 – 2011, 40 nonprofits are making a $2.9 million dollar direct impact on our economy with the help of a Tama County Community Foundation grant. A list of projects that have been been awarded grants in 2010 have been posted online. For more information, contact the Tama County Community Foundation county office at 641-484-3108 or visit www.tamaccf.org. The organization is now accepting online donations.